Wondering if UPswing Mastermind is right for you? I asked some of the ladies in the current Mastermind group to share their journey so far, so that you can see what it's like behind the scenes. Before joining Amanda's Mastermind, I had no idea where to start or how to get clients. I had seen from Amanda's webinars that she has used techniques and tools to create a freedom based business and I wanted to learn how to do that too. 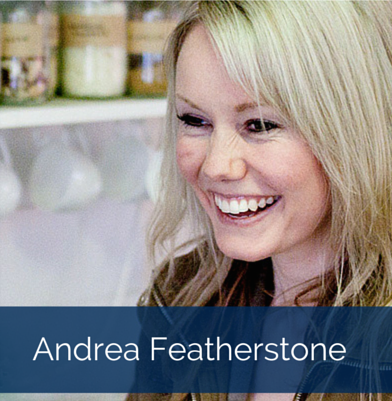 Having watched Amanda's training videos, I wanted to be in her energy space as well as a group of women who were going to create great change. The Mastermind is opening up so much for me in terms of what I didn't know. There are so many systems, tools and techniques out there that I had no idea about that actually help to set up a 'legitimate' business and make life so much easier. I have just launched my Facebook page and website with a booking and payment system all set up so I look professional and am so proud of what I am creating! I was completely drawn to Amanda’s warmth from attending her webinars – living proof we buy from people! I was immersing myself in my health coach training and Amanda's program seemed the perfect solution to fast track my way to building a successful coaching business. I was also very keen to surround myself with likeminded people and have definitely been able to do that. It’s so powerful. The UPswing support group is amazing and just what I was looking for. This has been unbelievably valuable knowing that everyone has ups and downs etc and that we all there for each other, it’s perfect for where I am right now. I am also moving forward with the business and am now in a position to sell my packages instead of hiding myself away ‘thinking’ about my new business. Gaining momentum and overcoming obstacles as a group as been amazing. I am taking action now whereas before I didn’t know where to start! An example of this is a whopping 89 sign up’s on my Free challenge (wow!) so a great to start to the list building which started at 0! My main struggle was not knowing what to do first and where to put my focus. I'd been following Amanda for over a year and I resonated with her. The Mastermind came along at the right time, and I jumped at the chance to work with her. The Upswing Mastermind is FANTASTIC for the keeping me on track of what I need to focus on as well as supporting me through the ups and downs we all go through. Every day, I know what I need to do, whether it be write a lead page, ask advice about my copy, get something down on paper (online) and try it out, I do the job every day in some way, shape or form, rather than procastinating like before. Getting my first client has been my proudest moment so far. I did one Discovery Call and that person signed up 2 days later. Big boost to my confidence, big learning curve too. I've learnt that I have something important to say and that there are people out there who really want my help - huge moment for me. I was struggling to know which things to focus on to get my business moving. I needed a structure to follow as I was spending time doing all the wrong things and getting overwhelmed with the enormity of it all. I was also looking to 'surround' myself with likeminded people who were actively building their businesses. I knew a lot of health coaches, but not many were kicking goals and driving forward, and I wanted to be around people who are as driven as me. I hated the salesy-ness of health histories and the american style marketing I'd been taught, and wanted to know how I could market more authentically, and how to hold 'real' discovery sessions where I didn't feel like a tool! I instantly knew it would take me centuries to figure out what Amanda could teach me straight away, and I was right. I especially loved that Amanda combined the business structures and hard work with the self care piece. I loved the look of the freedom lifestyle Amanda portrays, and I wanted to make sure I built my business in the same way so I didn't just go all Type A on it and burn myself out. I also was so drawn in by Amanda's marketing (I wasn't even looking for a biz coach when I came across her). I wanted to learn to market in the same way! Upswing Mastermind has helped in SO many countless ways. It's giving me the structure and direction that I was after, I love knowing what to focus on next, and having the momentum of the group and the lectures keep me moving and keep me on track. I have progressed so much faster than I know I would have on my own. I've become much clearer of my target market and developed a package which people are responding to amazingly well. I learnt copywriting skills to up my game, was able to put in place client booking structures and newsletter lists (which I was clueless about before). I LOVE the support of the fabulous ladies in the group - the encouragement and support is more than I could ever have hoped for. I love having people to share each win with, and for all the support from the group and Amanda when I have a question I can't work out. Seeing other's questions answered has also been so helpful. I've learn so much already in 3+ months! Learning how to conduct an authentic, easy going discovery session has changed the game for me, I no longer feel like I'm being salesy. My biggest struggle before joining the Upswing Mastermind was that I didn't have any clients and I had no clue how to not only go about finding them, but how to confidently talk about my services and all that I had to offer. I cannot imagine where I would be today (both professionally and personally) without Amanda and my fabulous Mastermind sisters. This has been such an incredible experience and all I can say is that I am so incredibly happy I made the investment! I originally chose to join the Upswing Mastermind because I was drawn to the idea of being able to make $5,000 a month. In all honesty though, what I've gained from Upswing is worth far more than making that amount of money. Not only have I discovered how to create powerful business structures that actually work, but I have also learned how to shift my mindset and how to overcome limiting beliefs and fears that have been holding me back. Not to mention, being surrounded by such an incredible community of like-minded women has completely transformed my life.